Postage stamps came into existence for over 300 years, and have undergone a lot of evolution, and the claim for being the inventor of postage stamp is a highly debatable topic. 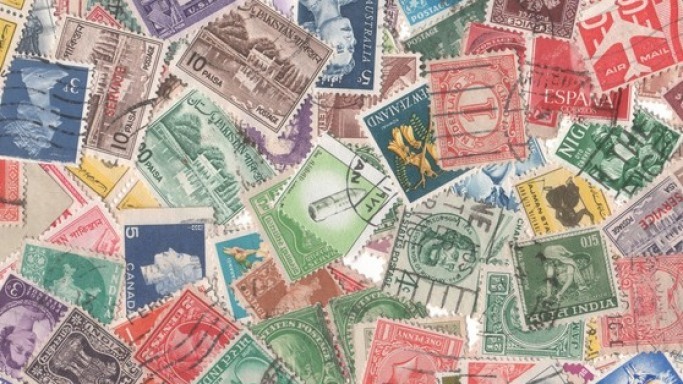 Postage stamps may be defined as pieces of paper that needs to be bought and displayed on the post/mail as an evidence of payment for postage. Postage stamps typically bear a number of things on its face, like the price or cost, the country of origin, an image among other important things and they are made from special paper. Incidentally postage stamps are of extremely important documents, as they depict a lot about the culture and history of the country, as well as many important events of the country or around the world. Philately is about collecting stamps and also studying stamps and postal history. Here are some of the most expensive postage stamps, which are expensive due to their rarity as well as their historical importance. This postage stamp was printed on magenta paper in black color. It is one of the most costly postage stamps in the world now, with a cost of more than 850,000 USD. The stamp attained an octagonal shape, due to the trimmed corners. The stamps were initialled by a post-office employee to prevent forgery. The stamps were printed by a local press in Guiana, due to shortage of stamps and also time to get them delivered from Britain. The stamps were priced at one to four cents. Post office Mauritius is one of the error stamps issued by Mauritius, and the rarity of these stamps makes them one of the costliest. The stamps were designed by Joseph Barnard, which was more inspired on British stamps. The error in this stamp was the print “Post Office” instead of “Post Paid” due to some error in the printing plate. A total of 240 such stamps were printed, of which only 26 are known to have survived. They are valued at around 1.67 million USD. Inverted Jenny was the first air delivery stamp that was issued in 1918. Priced at 24 cent, this stamp is normally a collectible item. But some of these stamps were riddled with an interesting error. Some of these stamps had the Jenny Plane upside down, which led their name as the inverted Jenny. They were a result of human error while passing the sheet for the second print of the image. Only a hundred of these rare misprints are available, and they have been valued at about 3 million USD. Only two copies of this rarest of U.S. stamps are available to this day. A Portrait of Benjamin Franklin is embossed with a z-grille pattern. A pattern of tiny squares embossed into paper and it was also visible on the back of the stamps. This was to permit efficient absorbing of the cancellation ink. The Z-grille was not found to be practical and discontinued. The stamp was priced at 1-cent in 1868. The present valuation of the stamp stands at 8.8 million USD. Issued in 1840 Penny Black is distinguished as the first postage stamp in the world. Rowland Hill designed it, and was a part of his reform plans for the British postal system. The stamp was valued at one penny, and bore the sketch of Queen Victoria by William Wyon. That resulted in the stamps famous name as Penny Black. This stamp was in circulation and print for nine months from its date of inception. They are now valued at around 5 million USD. The Three-Skilling Yellow or Treskilling yellow is the world’s highest priced single postage stamp. This Swedish stamp is also another error postage stamp. Instead of its regular green colour, a printing mistake resulted in this three skilling stamps to be printed in yellow in 1855. Till date only one surviving stamp with this error has been found. The sale price has crossed well over 3 million USD in 1996. It was resold in 2010 to an undisclosed buyer for an undisclosed amount. But the auctioneer declared that this Treskilling Yellow has become the most expensive single postage stamp in the world.